Customer satisfaction is our number one priority. With many years of experience in home improvement and remodeling we are able to begin and complete each project in a professional and timely manner. Camden County's Exclusive Source for All of Your Kitchen & Bath Needs! A&J Flooring Outlet is a family owned and operated business since 1989. We pride ourselves in customer service and guarantee we will not be undersold! Best of Houzz 2017! As Southern New Jersey's premier general contractor, Under Construction Builders, LLC has served New Jersey, the Jersey Shore and the tri-state area for over 25 years. We have two locations to serve you. Our Gibbsboro office in South Jersey serves Haddonfield, Cherry Hill, Voorhees, Mt. Laurel, Ocean City, Ventnor, Margate and the surrounding areas. Our Ship Bottom office on Long Beach Island serves all of the towns on the island as well as many areas of Ocean County. Whether it be new home construction, an addition, kitchen or bathroom remodeling project or a siding or deck project, at Under Construction Builders every job is treated with the same level of importance and care. We manage these high standards by listening to our customers wants, needs and concerns. 3-D Remodeling Designer, at an Award winning Design-Build Firm. Together, we create great new spaces, with a full service, fun and friendly, shopping assisted experience. Established in 1984, New Outlooks Construction has earned the reputation as Mercer County's premier design, build, and remodeling firm. Excelling in craftsmanship, customer service, and functional design, we specialize in home additions, kitchen remodeling, bathroom remodeling, basement remodeling, interior renovations, commercial renovations, handyman services, and a wide array of other residential and commercial services! Our goal is to transform existing spaces into aesthetically pleasing and functional abodes for our clientele. Give Me Shelter, LLC is a remodeling company headquartered in Newark, Delaware. In business since 2001, Give Me Shelter, LLC excels in providing value-added construction services to our customers by creating a successful partnership with them throughout the construction process. We pride ourselves in delivering the highest quality work in a timely manner Our goal is to establish lasting relationships with our customers by exceeding their expectations and gaining their trust through exceptional performance by every member of our construction team. We strive to ensure the longevity of our company through repeat and referral business achieved by customer satisfaction in all areas, including timeliness, attention to detail and service-minded attitudes. Our team maintains the highest levels of professionalism, integrity, honesty and fairness in our relationships with our suppliers, subcontractors, professional associates and customers. 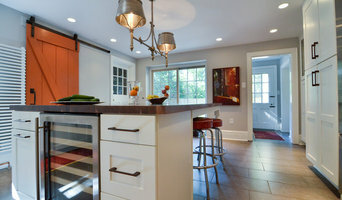 Best of Houzz "Design and Customer Service"! USE OUR BRAND NEW KITCHEN VISUALIZER TO DESIGN YOUR DREAM KITCHEN! 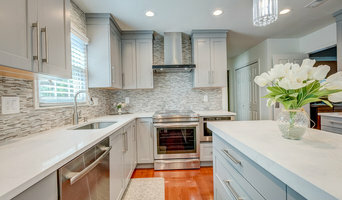 Design Your Kitchen: <a rel="nofollow" target="_blank" href="https://interior_trend.quotecountertops.com/kitchenvisualizer">https://interior_trend.quotecountertops.com/kitchenvisualizer</a> Design Your Bath: <a rel="nofollow" target="_blank" href="https://interiortrend.quotekitchenandbath.com/bathroomvisualizer">https://interiortrend.quotekitchenandbath.com/bathroomvisualizer</a> **START DESIGNING NOW** Kitchen and Bath remodeling. Renaissance Kitchen and Home is a complete Kitchen and Home Design firm and Showroom located just outside Philadelphia and offers a complete and seamless approach to "Budget Friendly High Impact Design", Kitchen and Bath Remodeling and Home Improvements. The Staff is capable of handling all your design and product needs from kitchen cabinets, custom cabinetry and vanities to plumbing and lighting fixtures. Our collection of flooring includes stone, ceramic and porcelain tile, hardwood and carpeting. Our passion for design and vast product knowledge allows us to work smarter for your dollar. We at Renaissance Kitchen and Home understand that remodeling and home improvements can be a challenge. Our unique design process ensures you a complete and seamless approach to remodeling. This proven method incorporated with our exclusive “Budget Friendly High Impact Designs” will offer you many styles and options custom tailored to your specific needs. Request a Free In-Home Consultation Today! Kitchens and bathrooms are two of the hardest-working spaces in any home. When it’s time to update them, ensure that they stay at peak functionality by hiring a Bellmawr kitchen and bathroom remodeler. With an eye for aesthetics, a practical approach to layout and design, and the skills of a contractor, a bath or kitchen remodeler in Bellmawr, NJ can help you execute a remodel suited your personal style and needs. 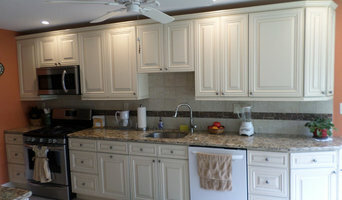 What does a Bellmawr kitchen and bath remodeling expert do? Licensed New Jersey kitchen and bath remodelers are contractors who specialize in altering the structure of an existing space, rather than building one from the ground up. Because he or she must deal with a previous builder’s work, the job can get more complicated than new construction. You might wonder why they often specialize in both kitchens and bathrooms, but if you think about those two spaces, they actually have a lot in common. Kitchens and bathrooms include an abundance of fixtures that require careful planning and installation, including sinks, faucets, tubs and toilets that all need water hookups and drainage. They also use similar materials, such as tile and stone for countertops and flooring, due to the nature of their use. So it makes sense that Bellmawr kitchen remodelers and bathroom remodelers be one in the same. A bathroom or kitchen remodeler translates architectural plans from page to reality; some are also trained to provide design services so that you don’t have to hire a separate pro. Like a general contractor, a kitchen and bathroom remodeler in Bellmawr, NJ is responsible for hiring and supervising subcontractors and providing materials when necessary. They also should have a thorough knowledge of New Jersey building codes and construction-related legal issues, as well as current design and product trends. Here are some related professionals and vendors to complement the work of kitchen & bath remodelers: Woodworkers & Carpenters, Kitchen & Bath Designers, Interior Designers & Decorators, Architects & Building Designers, General Contractors. Find a Bellmawr kitchen and bathroom renovator on Houzz. Narrow your search in the Professionals section of the website to kitchen and bathroom remodelers in Bellmawr, NJ. You may also look through photos of Bellmawr, NJ spaces to find kitchens or bathrooms you like, then contact the bathroom or kitchen remodeler who worked on it.